The Brett Favre celebration continues for Packers fans with this documentary. 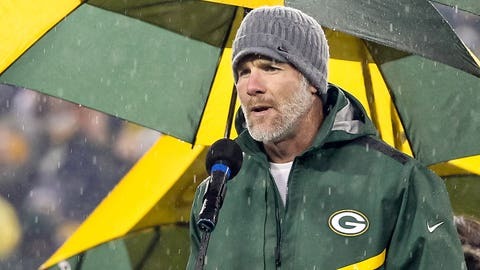 NFL Films is starting a new series of documentaries called "The Timeline," and legendary Green Bay Packers quarterback Brett Favre is featured in the very first episode. The episode is called "Favre Returns," and it’s narrated by country music star Tim McGraw. The documentary focuses on Favre’s history with the Packers, including his departure, his original return to Lambeau Field as a member of the Minnesota Vikings in 2009 and his recent return for the team’s Hall of Fame induction ceremony last July. Here’s a full trailer for the first episode, courtesy of the official NFL Network Twitter account. And here are a couple interesting snippets, directly from the NFL Films Twitter account.